1. 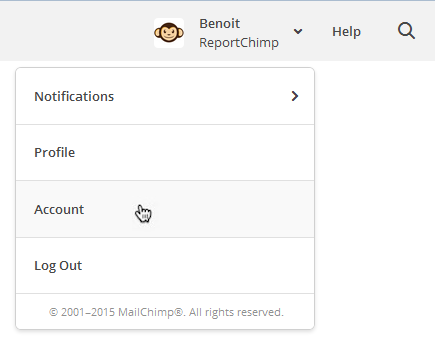 In your MailChimp account, click your profile name to expand the Account Panel, and choose Account. 3. Click the Create A Key button, and name your key descriptively, so you know what application uses that key. 4. Send us the new key. You’re done! 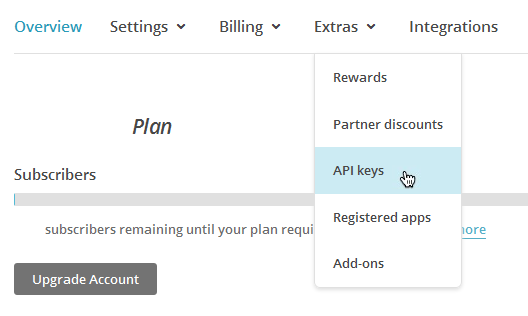 More details about API Keys: see About API Keys in the MailChimp Knowledge Base.